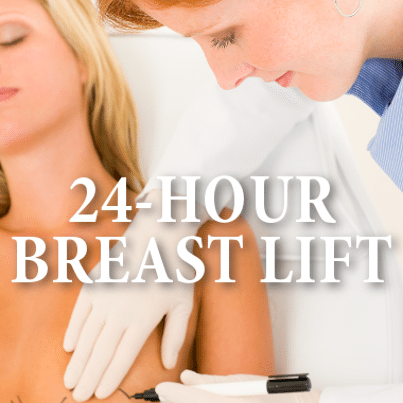 The Doctors: 24-Hour Breast Lift + Are Breast Implants Right For You? Dr. Rachael Ross started The Doctors show by asking viewers, if they could get a 24-hour boost for their bust, would they do it? There’s a procedure dubbed “the insta-breast” that is a 20-minute procedure that injects saline into a woman’s breast, enlarging them for 24 hours. The “quick pick-me-up” costs anywhere from $2,500-3,500. The question is, is it really worth it? Dr. Andrew Ordon spoke first, saying it was actually “a good way to see if the shoe fits.” He said they take sterile saline, similar to what they do with liposuction technique, and using a 16 gauge needle, pass under the breast tissue and go above the major pectoral muscle tissue, to inject the saline. Dr. Ordon said he doesn’t actually perform the procedure in his office, but The Doctors welcomed the doctor who invented the “insta-breast,” Dr. Norman Rowe, a board certified plastic surgeon. Dr. Stork then asked him, “why not just a push-up bra?” Dr. Rowe explained that the main reason he does the procedure is because it may show a woman what a breast augmentation may do for her. He said if the woman does decide to get an augmentation done, the insta-breast procedure could help her decide what size implant to get. Dr. Rowe explained that if a patient comes in contemplating having a breast augmentation done and they’re unsure, he’ll do the insta-breast procedure on them. He explained that as a plastic surgeon, there are various methods used to show a patient what plastic surgery could do for them, including 3D imaging, and he believes the 24-hour breast lift is just “another tool in the toolbox” to help show them what they would look like. Dr. Ross asked if the $2,500-3,500 went toward the breast implants if she decided to have it done after the 24-hour breast lift, or if that was an additional cost. Dr. Rowe explained that if the woman decides to go ahead with the surgery after having the procedure done, then yes, it is applied to the cost of surgery. Dr. Ross made a point to say that they don’t want to hear about people performing the procedure at home. Dr. Stork said that the procedure is meant as a tool to see if breast augmentation could be for you, and not as part of your makeup routine for a night out on the town.